Please read my August 12th post about Gorjevac ‘shelter’ in Bihać, Bosnia-Herzegovina. To reiterate: This shelter was built in June 2012, and conditions were reported as inhumane as soon as December, 2012. It is said that this Gorjevac “death camp” is built on top of a mass grave where “euthanized” animals were buried. There is no adequate food or medical care for the existing dogs. In winter, conditions are worse than dire. These recent photographs speak for themselves. Nothing but white bread for food. 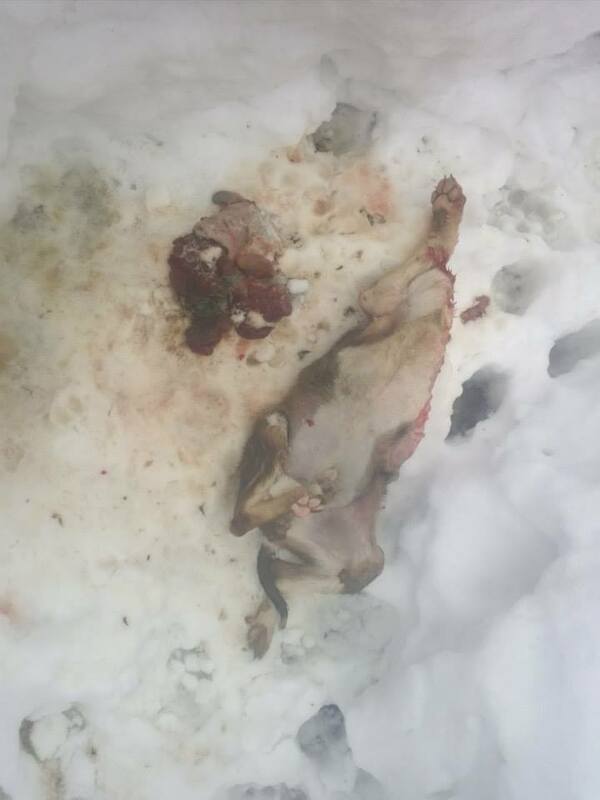 Corpses of dogs and puppies left amongst living dogs. Dogs devouring dogs they are so hungry. 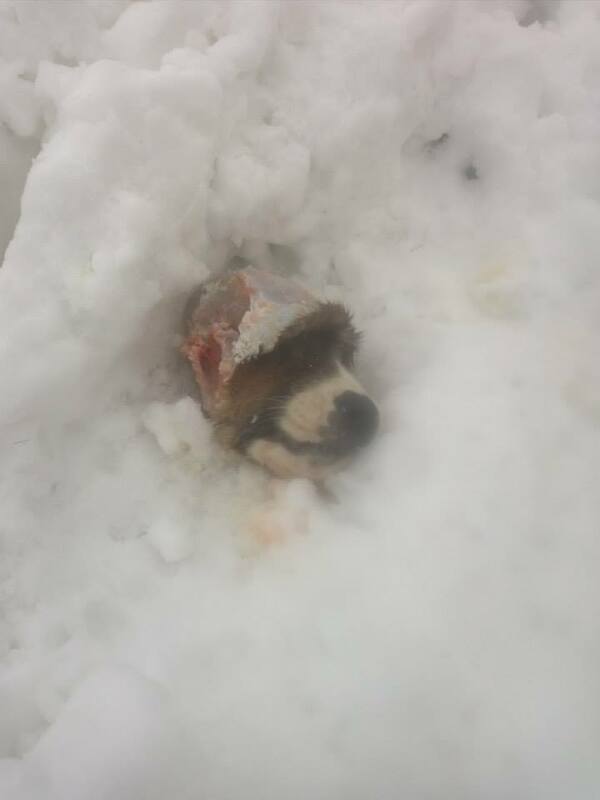 As with so many of the so-called shelters in Bosnia-Herzegovina, this situation is complex and it seems once again the shelter is used to funnel money into human pockets and not spend it on those it is designated for: the dogs. 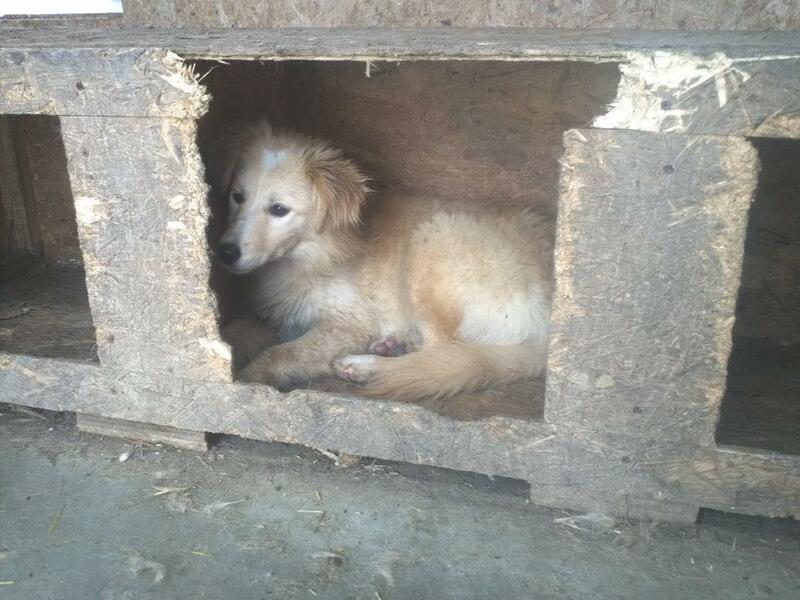 It is our understanding that the director of the city’s veterinary station Dr. Zekerijah Ika Alagić is to blame what is happening in Gorjevac ‘shelter’, Bihać: as elsewhere, money intended for dogs is not used for them. Instead workers feed the dogs with dry bread. Dr. Zekerijah Ika Alagić has been director of the veterinary station for 22 years, and is called by local activists the “Eternal Director”. It seems Dr. Ika Alagić is protected by the Municipal Mayor of the city, Emdzad Galijasevic. 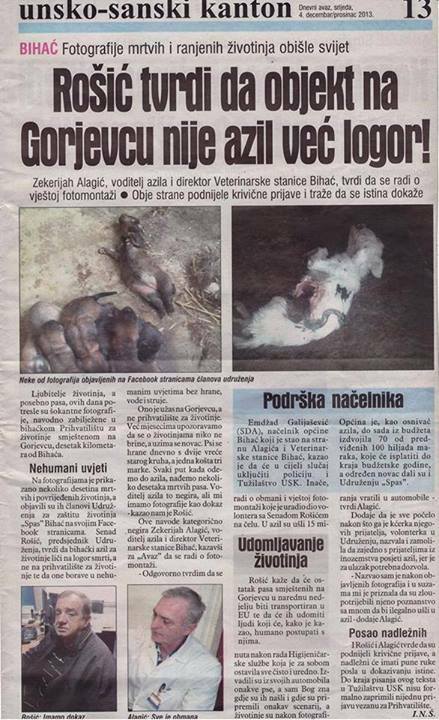 In an article published in local newspapers Dr. Ika Alagić denies everything and says that the images you see on this page and in the slideshow below are fake. The Bihać animal welfare Association “SALVATION” (SPAS) with volunteers and President Rosic Senad has for many years been leading a battle to change the situation for the dogs, but the political parties are very powerful. If you are wondering why we are campaigning so hard to ensure amendments to the BiH Animal Welfare Act are voted against tomorrow in BiH Parliament, it is because the amendments will allow for continued misuse of funds intended for the benefit of the strays, but more importantly, all efforts should instead be made to ensure that the existing Animal Welfare Act is implemented. The laws for animal welfare in BIH are in fact very good, requiring proper care for strays in shelters, prosecution of those who abuse animals and so on, but these laws are simply ignored. Instead the BiH Parliament spends time and energy on discussing, preparing and voting for amendments that will chip away at the welfare laws and meanwhile they ignore the ongoing illegal activities against animals throughout the country. Please sign the petitions, but more importantly continue to write to your MEP if you live in Europe and to your Embassy in BiH. Details on Action to Take. And please keep contacting IFAW, Four Paws, WVS and The Harmony Fund in case they can provide assistance. 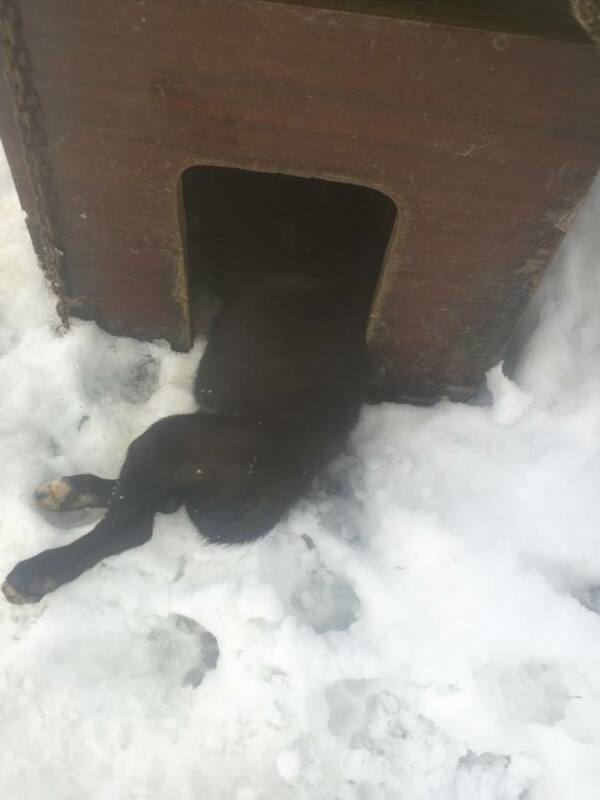 This entry was posted in Advocacy, Dog abuse, Dog Shelters, Dogs needing home, Fundraising and tagged Bihać, Dr. Zekerijah Ika Alagić, Emdzad Galijasevic. by Sandra Jensen. Bookmark the permalink. (whines) those poor dogs. (tail droops) Words cannot express my sorrow. My heart is hurting so much. Please help these poor creatures. Humans are the most vile species on earth and most should be eliminated. It is all their fault. Please help these poor creatures. This is so wrong animal welfare matters and please stand up for these animals! 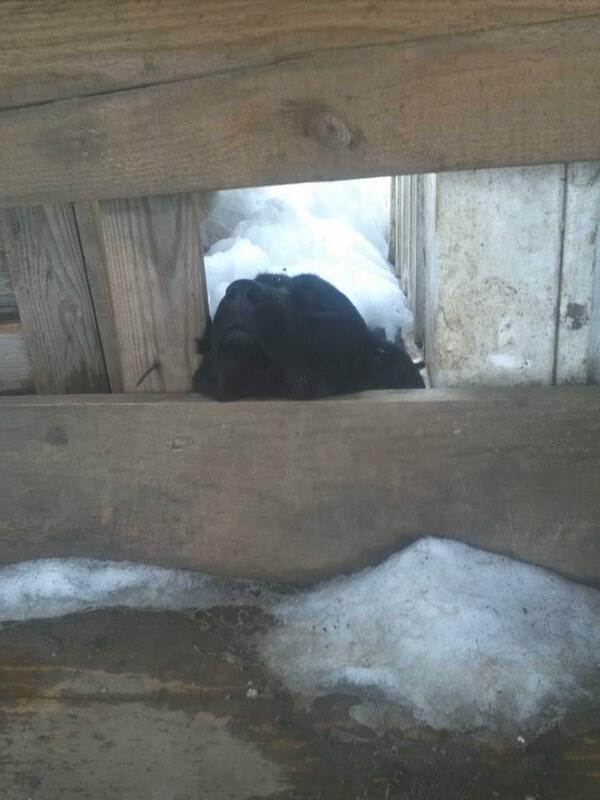 My eyes cannot stop crying for these poor dogs having to live and die in hell on earth. The world could be so beautiful without humans. All those innocent and perfect animals, living in peace. What a big dream…..
Mi dispiace che succedano queste cose. Questi esseri innocenti non dovevano pagare per delle situazioni sbagliate di cui ha colpa l’uomo. E’ una vergogna! My heart is crying, poor babies. Every time if i see this Picture and read the text im very sad and i cant understand why human people do that! You do a great job AWA Bosnia and all guys wich help!!! I share this site on Facebook and hope that the people doesnt look away anymore!!! I spent Money every Month and hope a lot of people do that too and helps this poor animals! Thank you so much for your support and kind words, Anne. I can’t bear to look at these photos the cruelty is too much for me! How can a person express in words one’s deepest feelings knowing what’s happening to animals that one loves so much!! 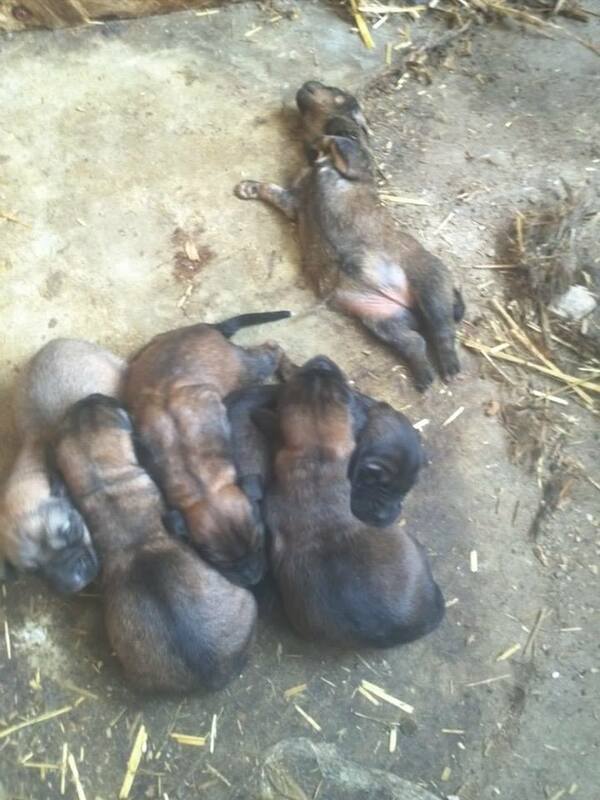 Es ist so schrecklich und traurig, was diese Ungeheuer in Bosnien den Hunden antun, daß mir die Worte dafür fehlen. Mein Vater stammte aus Bosnien und er liebte seine Hunde überalles – er dreht sich im Grab um wegen seiner Landsleute. Ich wünschte, er könnte in ihre Herzen die Liebe und Güte und Fürsorge für Tiere einpflanzen, die er hatte und uns beibrachte. Wer wird wirklich helfen können? Wir werden an unsere MdE schreiben und an unsere Botschaft und die bosnischen Botschaften haben wir schon geschrieben. O Gott-warum läßt Du das zu?!? My heart is broken! 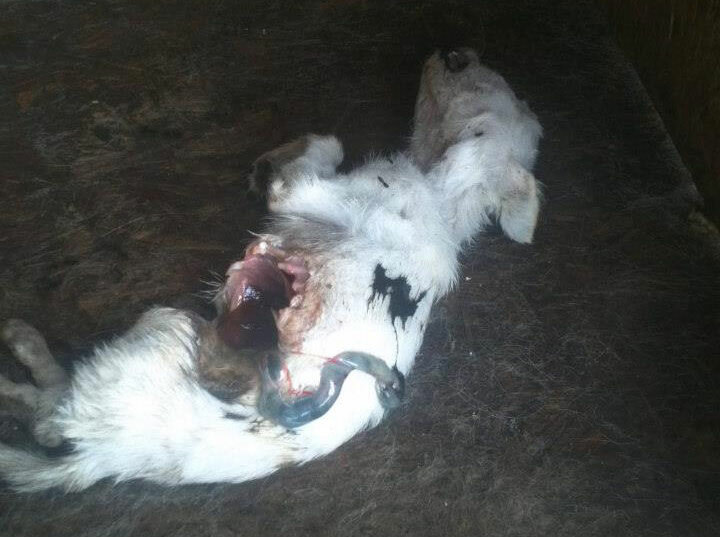 I have contacted IFAW and HSI and implored them to help you. I will also do all that I can to help you. Please keep fighting for these poor innocent animals that. Are suffering through no fault of their own. Thank you so much Donna and Sidney, your support is much appreciated. OMG are humans that cruel that they can allow this barbaric cruelty to go on. I am ashamed to be called a human, shame on us. This is disgusting! These poor animals would be better off on the streets. They are in hell being in your care. Hope you get the same fate!! Beim Anblick dieser grausamen, zu Herzen gehenden Fotos frage ich mich jedes Mal aufs Neue, warum denn die Regierungen westlicher Länder oder als Ganzes die EU nicht endlich einmal bei den Ostblock Staaten eingreift! Statt dessen wird um deren Gunst gebuhlt und jedes noch so kaputte Land soll unbedingt in die EU. Man hat das Gefühl, dass es in vielen Ländern nur noch Menschen gibt, für die Humanität, Verantwortungsgefühl und Mitleid gegenüber hilfsbedürftigen Geschöpfen/Tieren Fremdwörter sind. Statt dessen finden Brutalität, Gewalt, Grausamkeit und Teilnahmslosigkeit Platz in deren Herzen. Immer wieder muss man fest stellen, dass die Menschheit verroht und in Exzesse von Verderbtheit und Würdelosigkeit steuert. Das alles ist so schlimm und niederträchtig, dass man es einfach nicht in Worte fassen kann, sondern nur von einer Traurigkeit in die andere verfällt. Man hilf, wo man kann und trotzdem ist es zu wenig, wenn man das Elend sieht! Einfach unfassbar! !